If you’re concerned about those gaps in your Original Medicare coverage, you should consider applying for one of the 10 Medicare Supplement plans in California. Original Medicare refers to Parts A and B of the Medicare system. You are automatically enrolled in Part A when you turn 65, and you have the option of applying for Part B if you don’t have alternative insurance. The catch is that you still have to pay deductibles, coinsurance, copayments, excess charges, and fees for uncovered services. California’s largest counties correspond to some of the state’s most populous cities. This includes Los Angeles County, San Diego County, Orange County, Riverside County and San Bernardino County. In 2014, there were more than 400,000 residents enrolled in Medicare Supplement plans in California. More than 250,000 of those participants were enrolled in Plan F.
Approximately 13 percent of Medicare enrollees also participated in Medigap plan coverage in 2014, and that number is expected to rise as more seniors seek relief from soaring health care costs. When Should I Apply For a Medicare Supplement Plan in California? Your first and best option is to apply for coverage during your initial open enrollment period. This refers to a six-month period in which you are guaranteed coverage under all Medicare Supplement plans in CA. Your guaranteed-enrollment right begins the month that you turn 65 or whenever you sign up for Medicare Part B. You must enroll in Medicare Part A and B to qualify for a Medicare Supplement plan in California. These two parts are referred to as Original Medicare, and you must be enrolled in Part A and Part B to continue with your Medigap policy. Your final option is to apply for a Medicare Supplement plan whenever it fits your schedule. If more than six months have passed since you signed up for Medicare Part B and you don’t qualify for a special enrollment period, you will have to go through the underwriting process. This gives insurance companies the option to consider your medical history and pre-existing conditions before determining your premium rate. How Are Rates for Medicare Supplement Plans in California Calculated? This method is founded on age brackets. The older you get, the more you are likely to pay for your Medigap benefits. 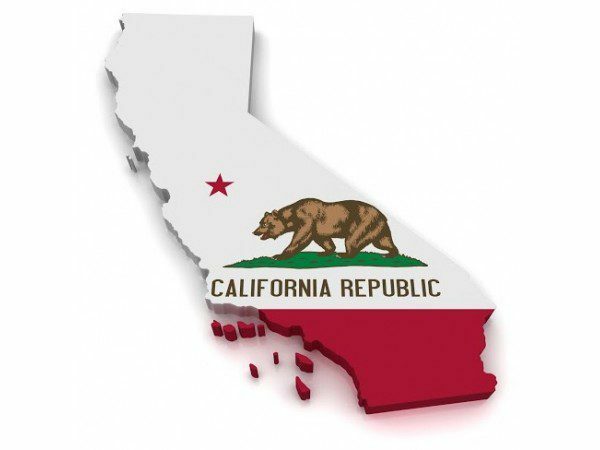 According to the U.S. Department of Health & Human Services (HHS), more than 70 percent of Medigap plans in California were calculated with this method in 2010. This remains the most commonly used method of rate calculation throughout the country today. Your age on the day that you secured your Medicare Supplement policy will always dictate your premium. This method of calculation offers the greatest stability with fewer annual changes because your price doesn’t go up with age. In 2010, 18 percent of Medicare Supplement plans in California were calculated with this method. This method isn’t used often and represented less than 10 percent of all Medigap plans in CA in 2010. Your rate isn’t controlled by your age at all. Instead, the insurance company offers the same rate to every person enrolled in each Medigap plan. Which Medicare Supplement Plans in California Should I Compare? There are currently 10 Medicare Supplement plans available in California, but most insurance companies see these 3 plans as the most popular options. Medicare Supplement Plan N doesn’t cover your Medicare Part B deductible or excess charges, which is the primary difference between it and Plan F. According to America’s Health Insurance Plans (AHIP), nationwide enrollment in Plan F grew by more than 30 percent in 2014. This makes it one of the most popular Medigap plans along with Medicare Supplement Plan G and Plan F.
Can I Use My California Medicare Supplement Plan In Other States? The standardized Medicare system allows you to see any doctor accepting Medicare in the country without paying out-of-network fees or asking for referrals. You are in complete control when determining which doctors you want to see regardless of their location. In a study researching the quality of care offered to Medicare recipients throughout the country, California ranked 41st. While there are many quality medical professionals in this state, you may still find that the leading specialists for your most concerning health condition are located across the country. With you Medigap policy, you are free to see that doctor at any time while enjoying full benefits. You may be able to keep your Medigap plan, however, your new zip code could alter your monthly rate. How Do I Apply For a Medicare Supplement Plan in California? After reading reviews, comparing rates, selecting the best Medigap plan for your needs and then studying your outline of coverage, you may still feel a little confused about Medicare Supplement plans. This is normal because there is a lot to learn about this dynamic healthcare system. You can start comparing quotes right now by selecting your state from the drop-down menu or give us a call to talk to a Medicare Specialist. Medi-Cal – Have you noticed those cost-sharing expenses on your Medicare outline of coverage? This program for low-income seniors may help you pay those expenses plus your Part B premiums. Health Insurance Counseling and Advocacy Program (HICAP) – Receive free counseling regarding all aspects of Medicare and long-term care in California. Benefits are available to Medicare participants, their loved ones and anyone soon to enroll in Medicare. Extra Help is a nationwide program that helps seniors and Medicare-eligible disabled residents cover their Medicare Part D deductibles, co-pays and premiums. If you are struggling to pay those expenses on top of your Medigap premium, you can apply through your local Social Security office or with the online form. The amount of help that you receive will depend on your income.